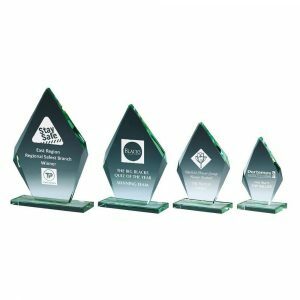 Transform your awards night into a truly glittering occasion by presenting your winners with stunning crystal or glass trophies from our online store. 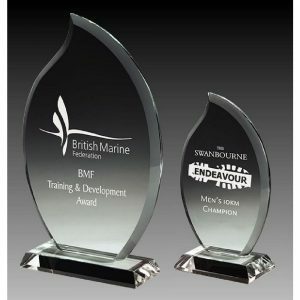 We stock stylish pieces to suit sporting competitions and corporate occasions, so you’ll be able to find the perfect items for your big event within our outstanding product range. 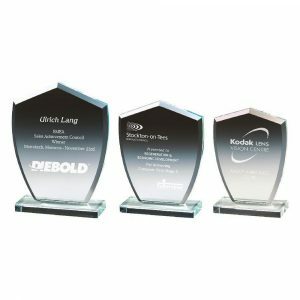 We’ve got a host of attractive awards for you to choose from and we can deliver them to your door, giving you one less thing to worry about when it comes to ensuring that your ceremony goes without a hitch. 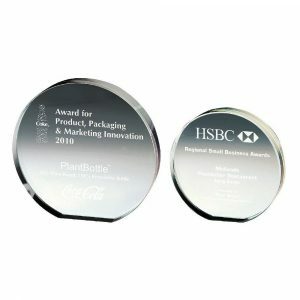 Our online ordering system is a breeze to use and we’ll make sure your products are delivered to you quickly, making us the ideal awards supplier when you’ve been tasked with planning an event at short notice. 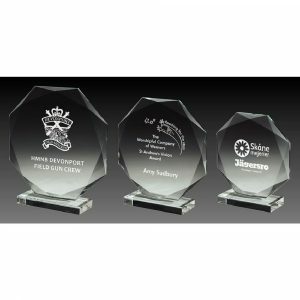 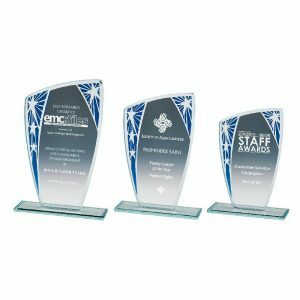 What’s more, every crystal and glass award in our collection can be individualised to turn it into a unique memento of your occasion. 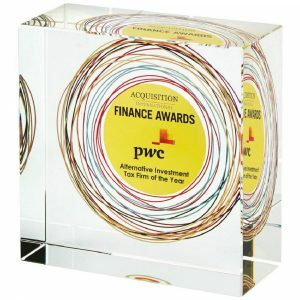 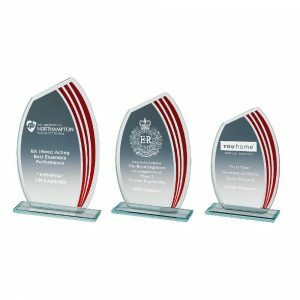 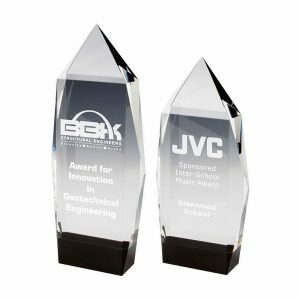 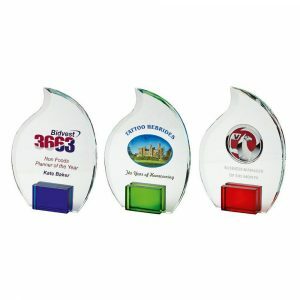 We can engrave the recipients’ details or personal messages onto many of the products in our range, either on the trophies themselves or on their base plaques, and we can even add a full colour print of your organisation’s logo to some of the pieces that we sell. 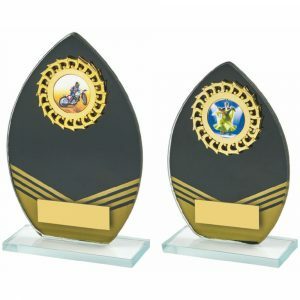 Whether you’re looking for a long service trophy for a loyal staff member, an employee of the month award, or something to present to the victor of a sporting competition, you’ll be able to find an appropriate and affordable product when you shop with us. 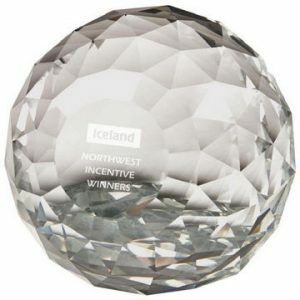 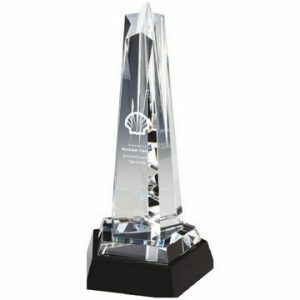 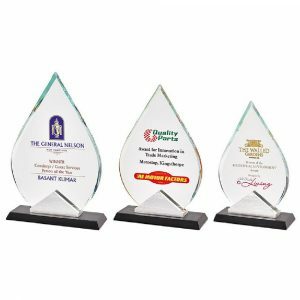 We’ve got stunning star, diamond, flame, iceberg and petal-shaped trophies, as well as appealing paperweights and satisfying block awards, including pieces crafted from gleaming crystal as well as gorgeous items made from plain and jade glass. 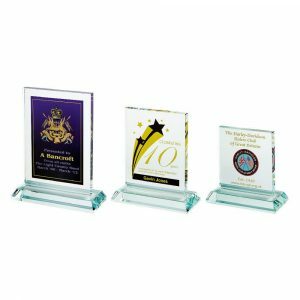 Some of our products come in handy presentation boxes while others come with matching stands so they’re simple to display. 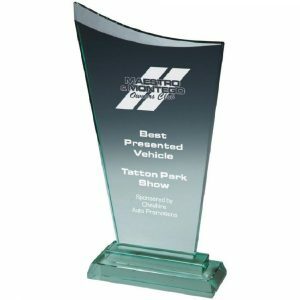 Whatever you’re looking for, however, one of our helpful team members will be happy to discuss your options with you if you call us on 020 8722 0250 or email us at sales@challengetrophies.co.uk.